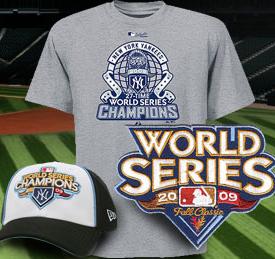 Yankees, 2009 World Series Champions! Now come on, did you really think you could click on this site and not see some Yankee stuff. Of course you did. Unfortunately, not really any coupons or discounts but I’ll keep hunting. FogDog: Join their mailing list and get 10% off your order. New Era Cap: Official Yankee Championship Caps.